Last weekend I attended my friend Carrie's bridal shower in Woodstock. Carrie lives in Costa Rica where she teaches third grade. My mother helped plan the shower and asked if I would be willing to make a dessert. 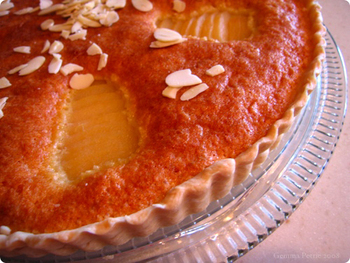 Perhaps my favorite go-to dessert is this Almond and Pear Tart. 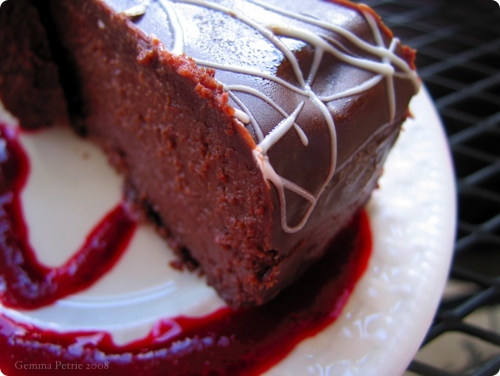 It is relatively easy, looks impressive and and tastes delicious without being overwhelming. It also paired beautiful with the other dessert -- this gorgeous and decadent Raspberry Chocolate Torte that our neighbor Audrey prepared. The shower was nice and relaxed, and I was able to catch up with a few old friends. Carrie and Yishai will be married this weekend. Wishing all the best to this handsome couple! In a food processor, pulse the nuts with .25 C of the sugar until finely ground. Add the flour and pulse to combine. In a medium bowl beat the butter and .25 C sugar until pale and fluffy. Add the eggs one at a time, beating well after each addition. Beat in extracts. Gently incorporate the nut mixture until just combined. Spread the filling evenly into the prepared tart shell. Peel, halve and core the pears. Cut them crosswise into .25 inch slices, holding the slices together to retain the pear shape. Gently transfer the slices of each pear-half to the tart, arranging decoratively and fanning the slices slightly apart. Bake until the tarts shell, pears and filling are golden brown -- about 30 - 40 minutes. Remove from the oven and brush the pears (not the filling) with the preserves to keep them from drying out. Cool the tart completely on a wire rack. 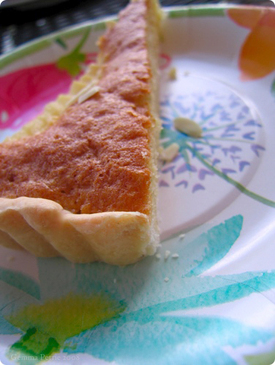 Remove the sides of the tart pan just before serving. 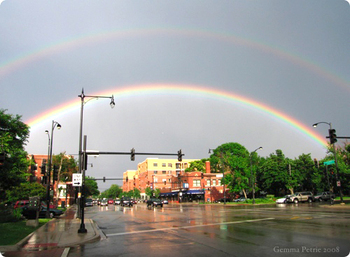 Nick met me at the train when I returned to Chicago and we were greeted with this unusual double rainbow! In other news, Eileen and I spent a truly memorable night at the Vic Theatre watching Liz Phair play Exile in Guyville in its entirety on Tuesday night. This album made a huge impression on me growing up, and you could tell from the crowd that I wasn't alone. I'm also getting close to my AIDS Marathon funding goal. As of this morning, I only need $375 more! You can read about my training and learn how to donate at my Chicago Half Marathon website. Your tart looks beautiful (and delicious)! You have a talent for baking that I am envious of.